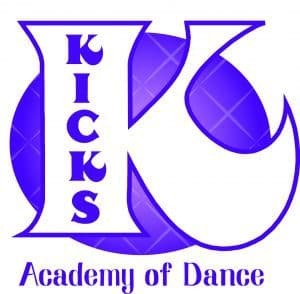 KICKS Academy of Dance, founded in 1992, strives to offer quality dance instruction with a creative approach! Students are taught in a positive environment that helps stimulate creativity, increases self-confidence, builds friendships and promotes a life-long love for the arts! We are proud to provide a teaching staff that is not only talented, experienced and knowledgeable, but also meet our high standard of being able to encourage and train dancers to be the best they can be, while keeping in mind the most important aspect of the school . . . Learning to dance should be fun!